While most companies have revealed their post-GST (Goods and Service Tax) pricing, a few are taking their time to do so. Mitsubishi being one of them. 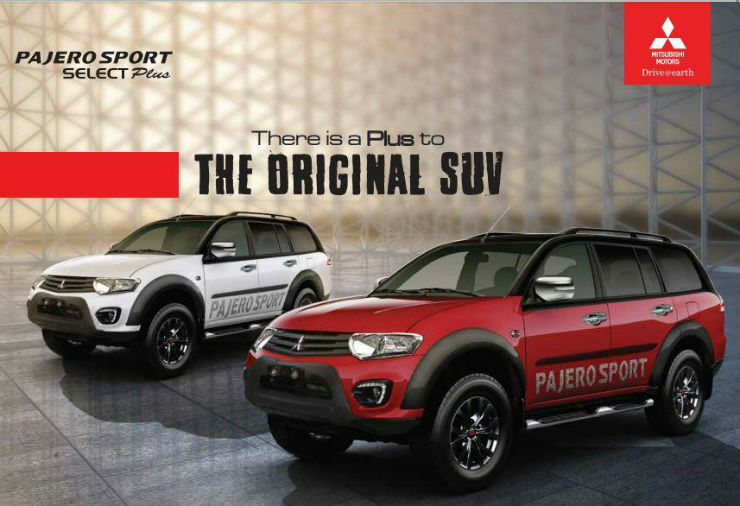 The company has now released the updated pricing for their Pajero Sport. This means the drop in price is Rs 1.04 lakhs. The SUV comes with a single engine option only, a 2.5 liter unit making 176 Bhp. While the manual makes 400 Nm, the automatic makes 350 Nm. The company recently launched a special edition version, christened the Select Plus. On the outside, you now get more cladding on the fenders, giving the car a more muscular look. The A,B and C pillars have been finished in gloss black now. The same treatment has been followed on the grille and the alloys as well. The mirrors have been left in chrome though. The special edition can be had in four combinations, black and white, black and red, black and silver and black and yellow. The Pajero Sport has been the sole selling model in India for Mitsubishi. Yes, they do have the Montero as well, but they aren’t selling a lot of units of the same. There is an all-new version of the Pajero Sport which the company will be unveiling next year in addition to the Outlander which is expected later in the year.